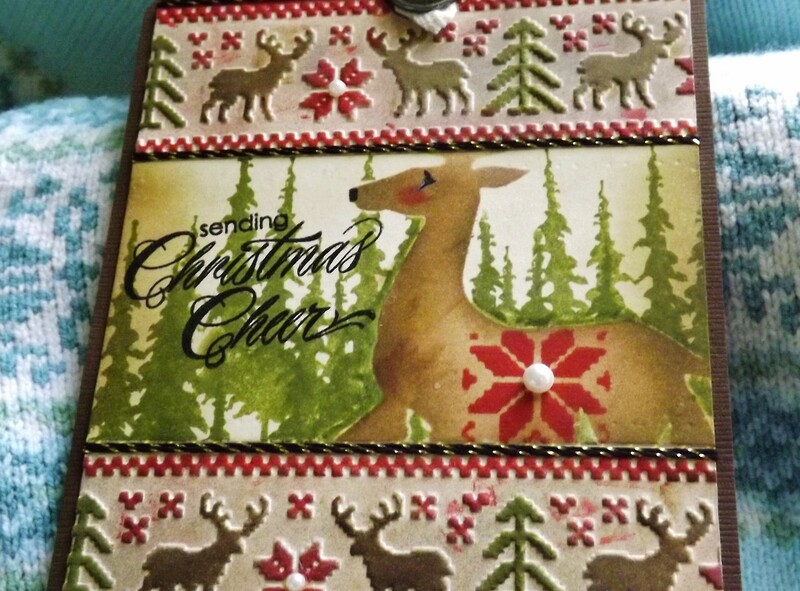 I used the Holiday Knits Embossing folders from Tim. 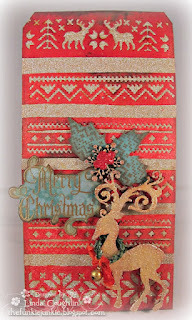 Plus the Tim Holtz's stencil THS-028. 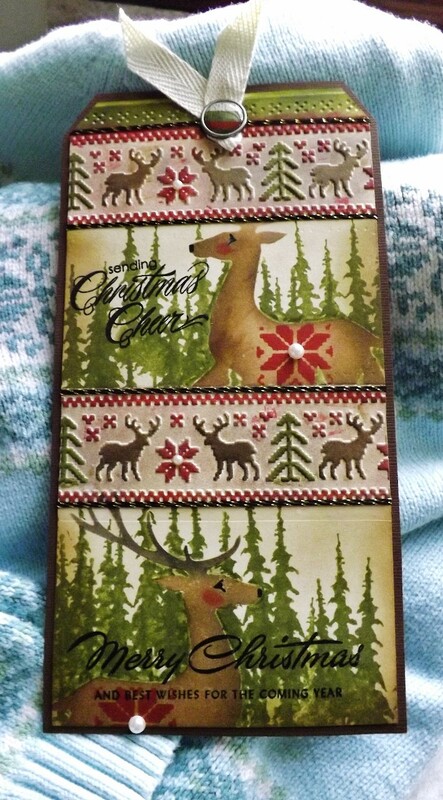 Tim's Prancing Deer #660033, (Was cut from masking sheets, the die cuts were used as inked images.) Mask Sheets TH-92815. My stamps are from Penny Black. I am loving how you are interpreting her Tags. Oh my goodness, Vada, this is fantastic! 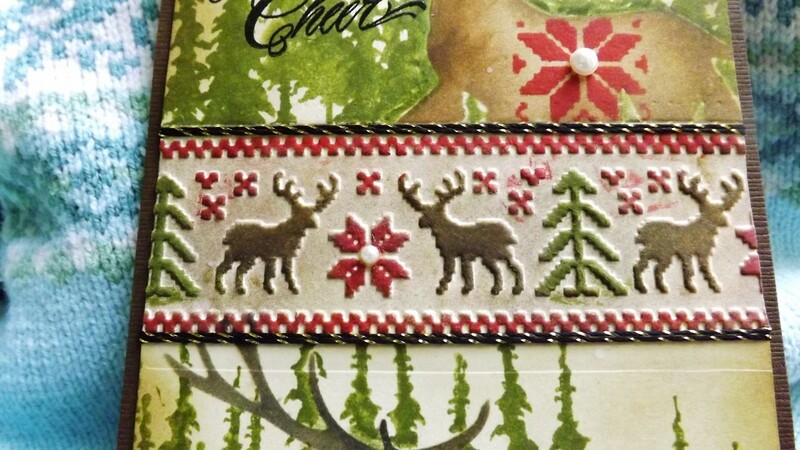 I LOVE what you have done with coloring the embossed holiday knit pattern. Everything is perfect on this tag - the stamped trees background, the prancing deer and how you have embellishment it with the stencil. It all works together so beautifully. Thanks so much for sharing it with us for week #3! I am catching up! Had a little of "not feeling good" and then a trip to Portland! I love your tag and all the pretty colors! Your stencil work is fabulous and so cute are those little deer! 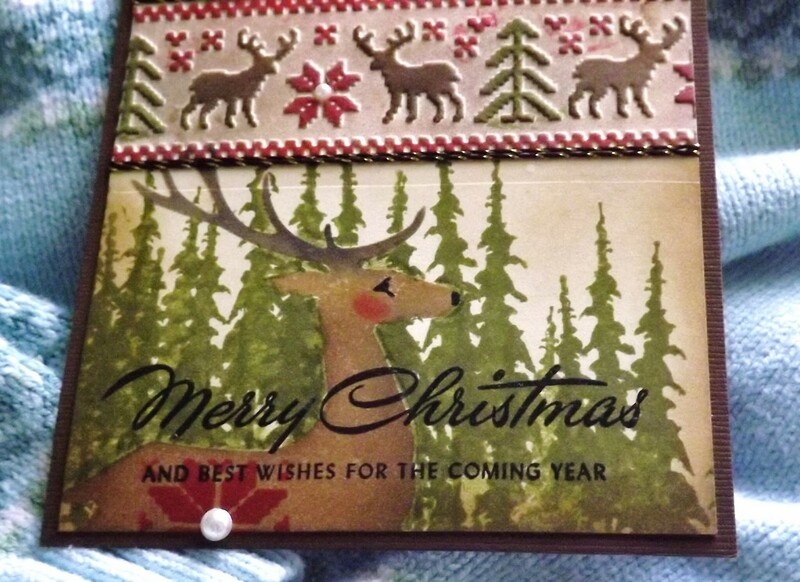 Hugs to you my WI friend! This turned out so great. 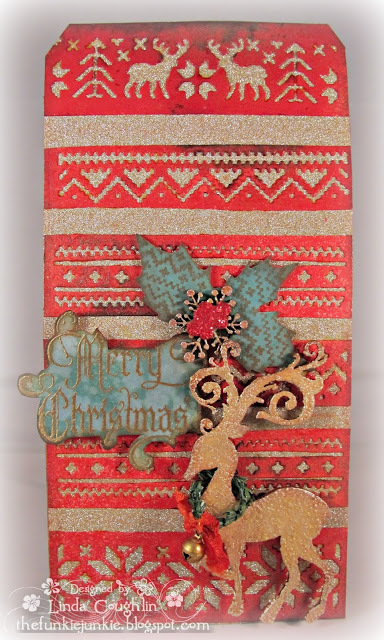 I just love the masking Technique and these traditional colors!